Oil on gallery wrapped canvas, 18 x 24 inches . This is a commission piece and has taken about one month to complete. I wanted to show movement in the background so I somewhat textured it using brush strokes going in the same directions of the swirling galaxies. 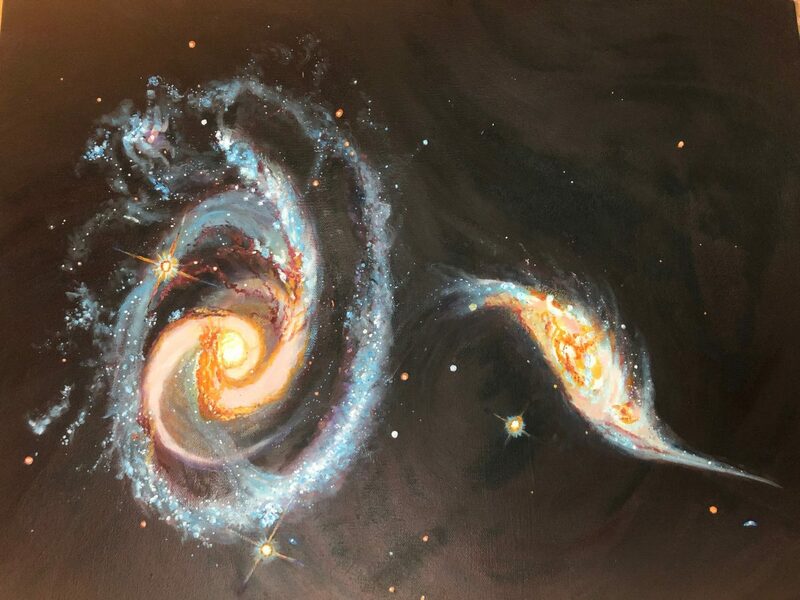 The larger of the two galaxies shows signs of tidal interactions with the smaller of the two. It is thought that the smaller galaxy has passed through the larger one.